Scheduled Maintenance - PRO Temp Inc. The more you take care of your equipment, the longer and more efficient it will run. 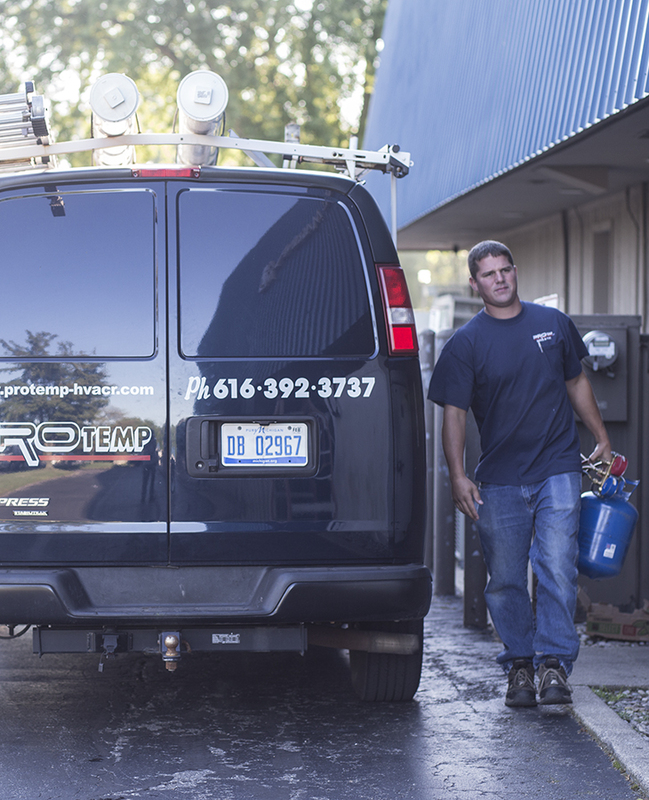 It’s hard to remember to service your equipment on a regular basis, which is why ProTemp keeps track for you. We’ll call you when we know you’re due for maintenance work and schedule a good time for one of our techs to come out. Depending on your equipment, scheduled maintenance usually includes new filters, belts and batteries, as well as cleaning and checking to make sure everything is in proper working order. At minimum, we recommend that your heating systems get serviced every fall, your air conditioning every spring, refrigeration systems on a quarterly basis, and ice machines once a month. We have some clients that even request preventative maintenance services more often than that. We provide custom quotes for preventative maintenance based on the type of equipment you have, what parts you’ll need replaced regularly and how often you want us to come out. Contact us today to develop a PM schedule that suits your business needs.